Brand identity, Launch Campaign, Art Direction, Design. Patch'd protects against smartphone radiation. Working with a copywriter, we named the product, previously named the brainwave smart chip, created a brand identity, product design, packaging and launch campaign. 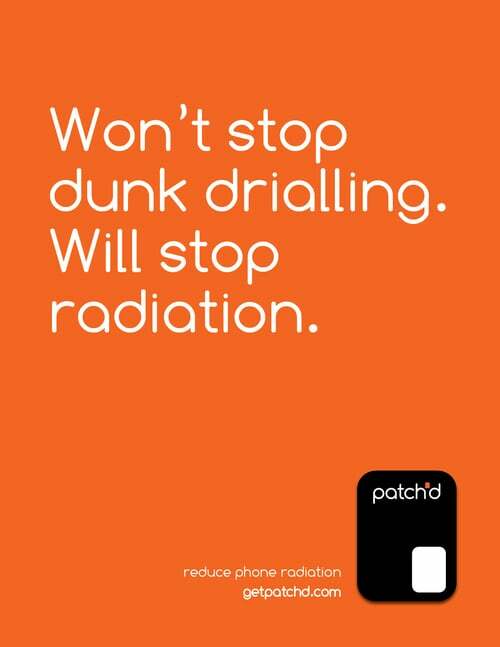 The name 'patch'd' references the product's application to a smart phone. 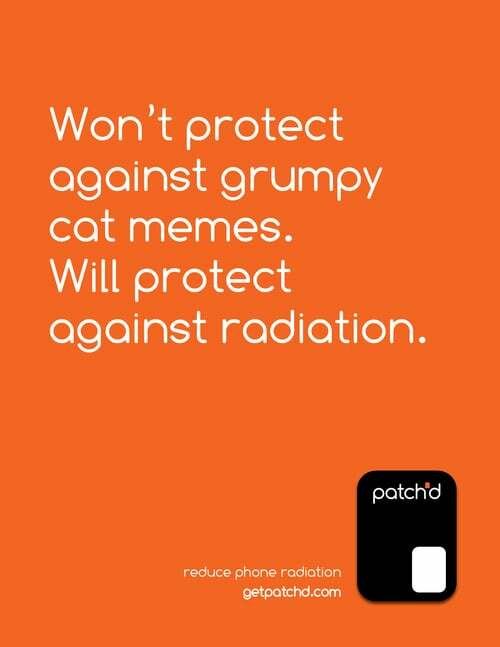 Acknowledging that fear of radiation is universal, the ads exhibit a self-effacing tone; focusing on what the device doesn't do.